Pauline Kael's favorite film: "Menilmontant"
Maggie: What was your favorite movie in your entire life? Maggie: And what was the French movie? 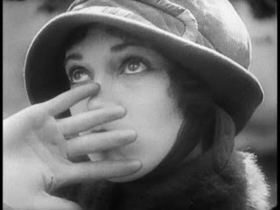 Pauline: "Menilmontant," a silent movie made in 1924 by Dmitri Kirsanov starring his beautiful Russian-born wife, Nadia Sibirskaya. Another critic who loves it: Ed Howard. All my TwitterPages are linked at the right.